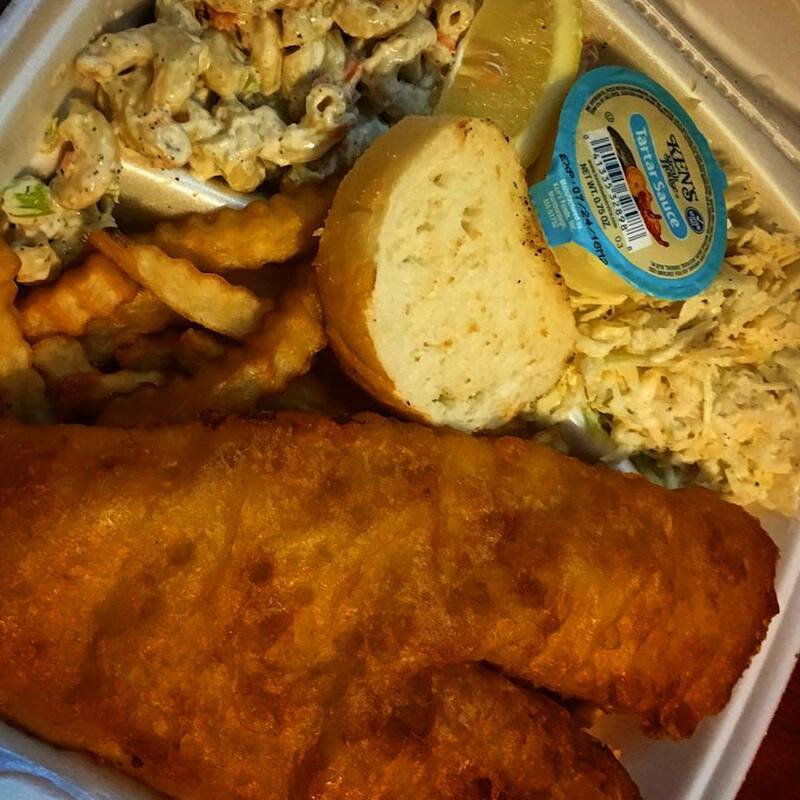 All this week, we’ve been looking at Buffalo’s definitive foods– the dishes we long for we we’re away, and the ones that just never seem to measure up when Buffalonians try to eat them elsewhere. We’re starting with a classic. 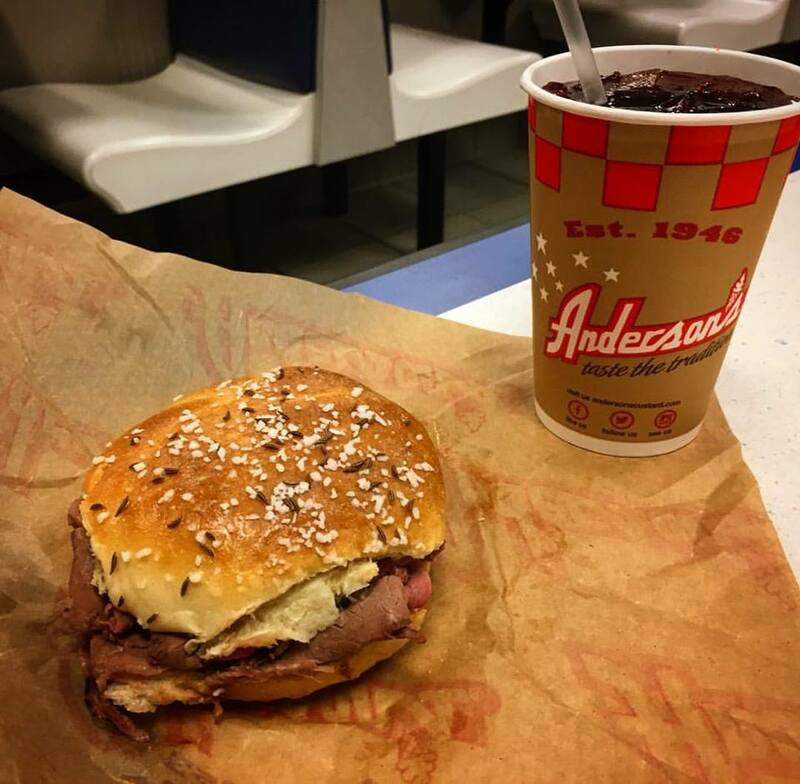 Anderson’s beef on weck and a loganberry. Beef on Weck has been a Buffalo staple since around the time of the 1901 Pan Am Exposition. Gohn’s Tavern at Main and Delavan, across Delavan Avenue from Forest Lawn’s entrance, was the first restaurant that made roast beef on Kimmelweck rolls a regular specialty. Gohn moved into a building next door when his property was bought out to put up a gas station in the 1930s. 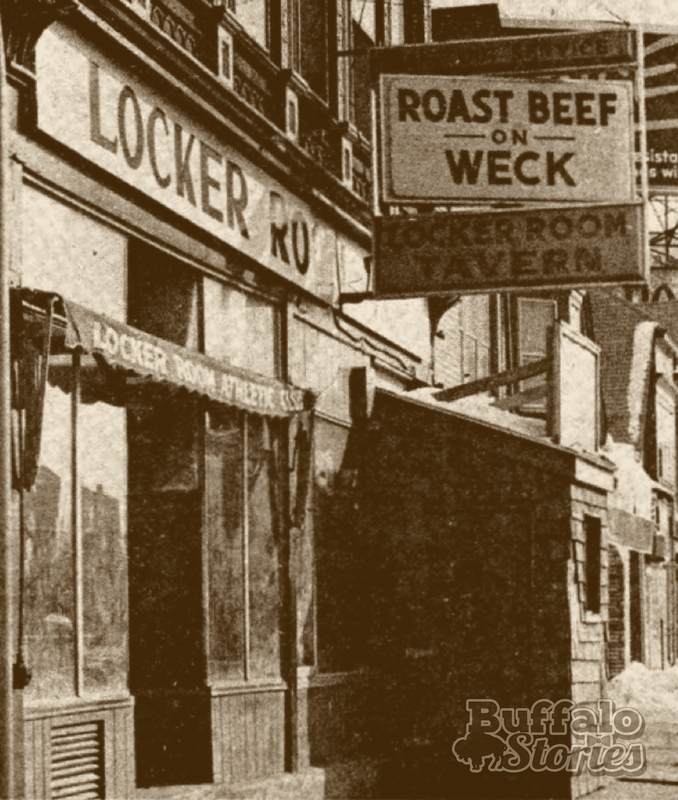 That spot eventually became The Locker Room, which claimed to be the original home of the Beef on Weck. 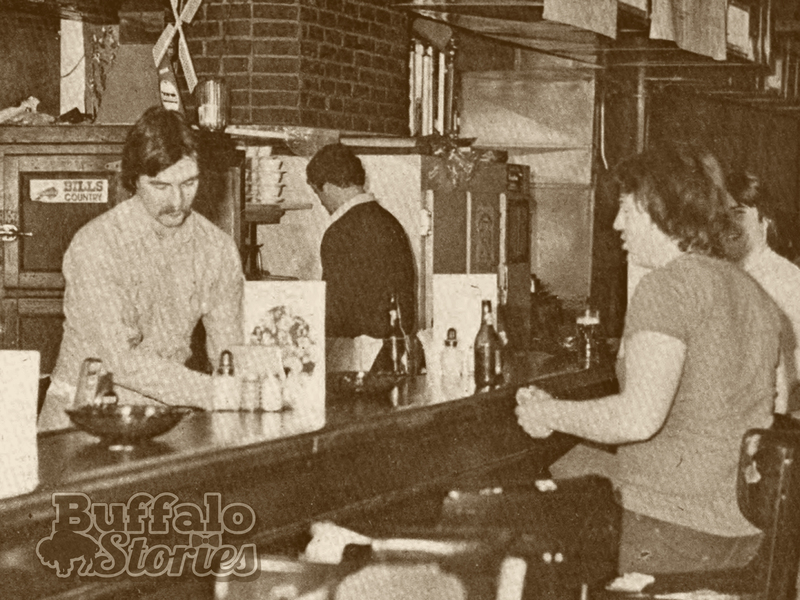 The Locker Room and Bailo’s on Bailey and Lovejoy were Buffalo’s two favorite Beef on Weck spots for generations, but the sandwich was really Buffalo’s signature bar food, and available at dozens if not hundreds of taverns around Western New York. 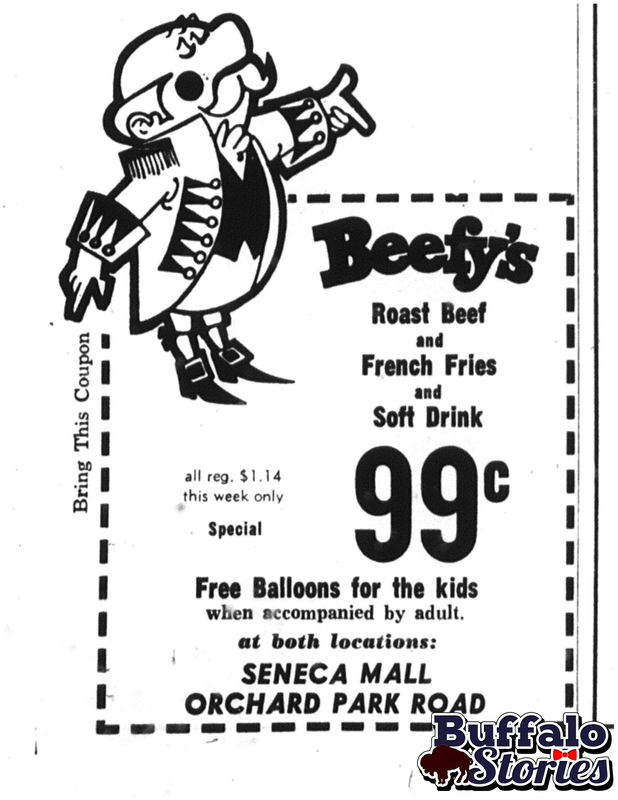 There was even Beefy’s– the local roast beef fast food place that offered Beef on Weck at the Seneca Mall and a few other locations in the 1970s. These days there are plenty of places that will serve you a Beef on Weck sandwich, but very few gin mills with a giant slab of beef and a pile of hard rolls right there behind the bar– the way the sandwich was first served more than a hundred years ago. But the Beef on Weck remains one of Buffalo’s definitive foods. An author recently referred to Buffalo as “The Comfort Food Capital of America,” and there’s little doubt that Buffalo’s universal comfort food is take-out pizza. That same writer, Arthur Bovino, writes in The Daily Beast that Buffalo just might be America’s Pizza Capital— or at least the country’s most underappreciated regional variety. 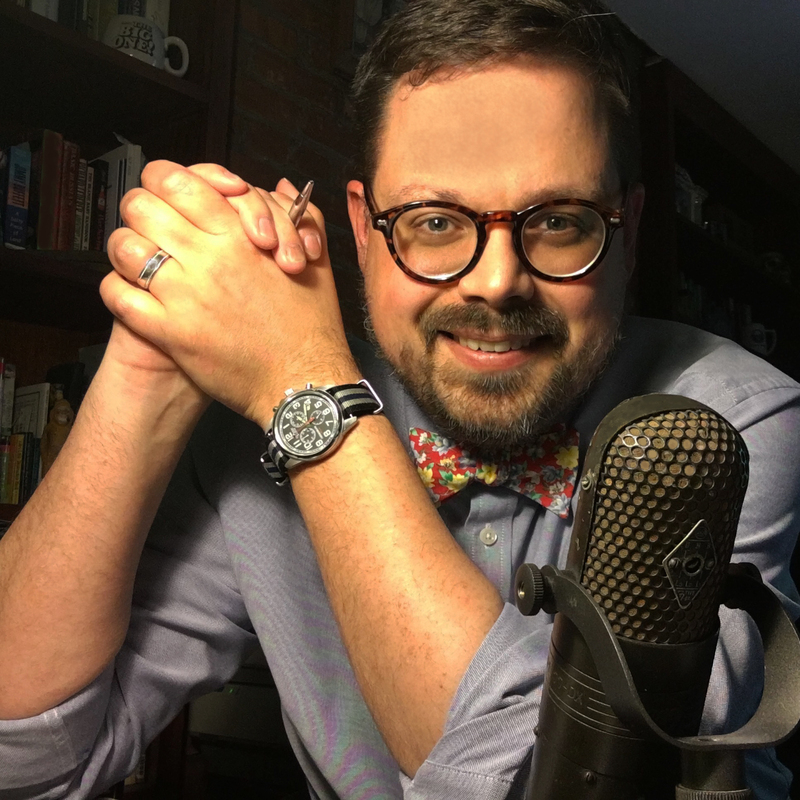 The sheer numbers bear that out. There are at least 600 pizzerias in the Buffalo area. Or to put it a different way, you could get pizza every night for 20 months, and not go to the same pie joint twice. What makes a Buffalo pizza? 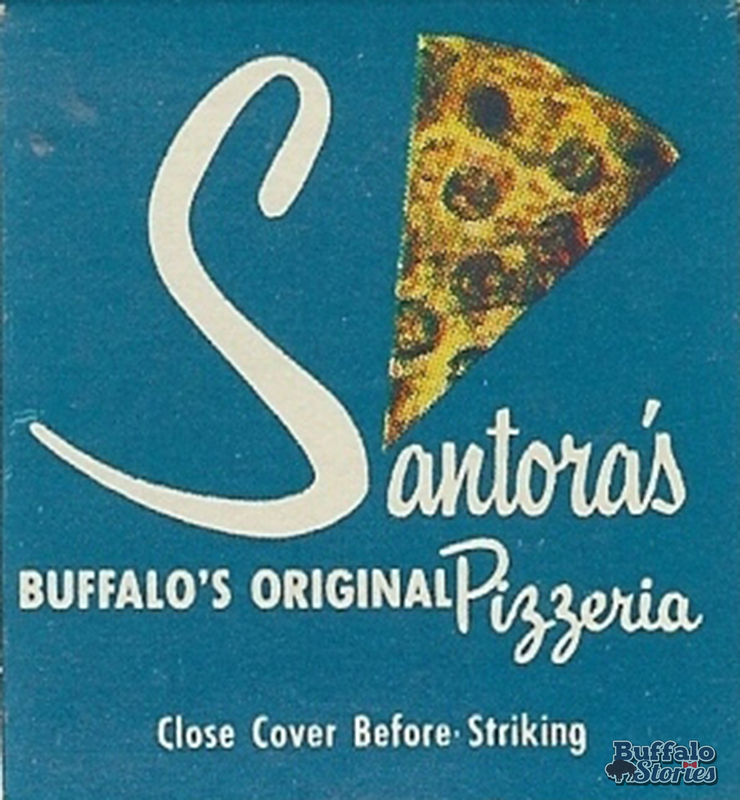 Santora’s was Buffalo’s first pizzeria. 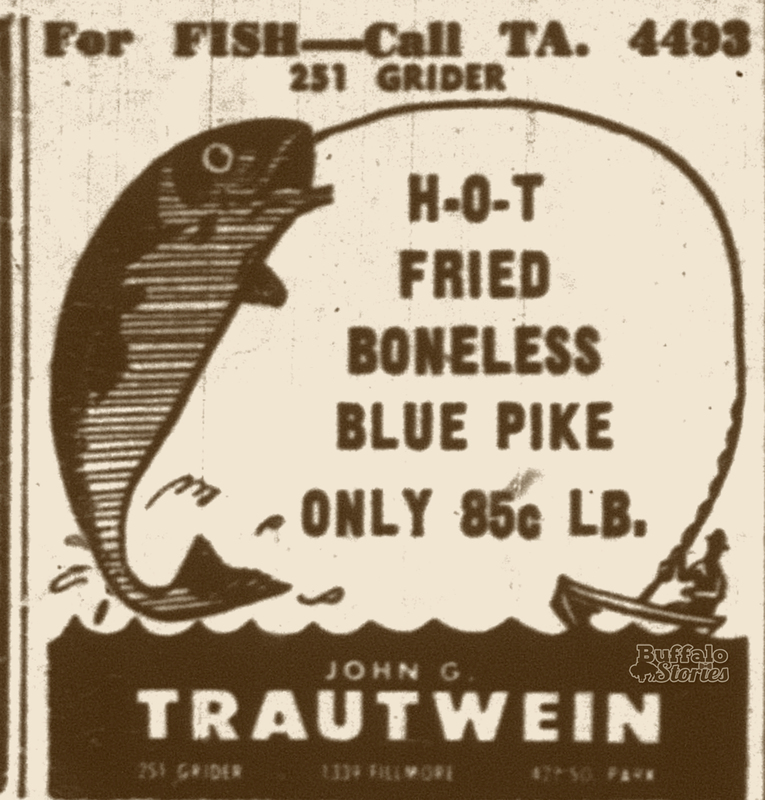 1947 ad. It starts with the crust. Tasty, doughy and golden, for those of us accustomed to it, it makes other crusts taste like cardboard. It’s doughy and soft, but it also stands up– literally. No floppy folding needed for a Buffalo slice. 1959 ad for Bison pepperoni, makers of Buffalo’s “cup and curl” pepperoni. So there’s plenty of crust, and the crusts are bigger too. Order a large somewhere else in the country and you just might be disappointed. On that bigger pizza, we pile on cheese in a way that would be considered extra cheese anywhere else. 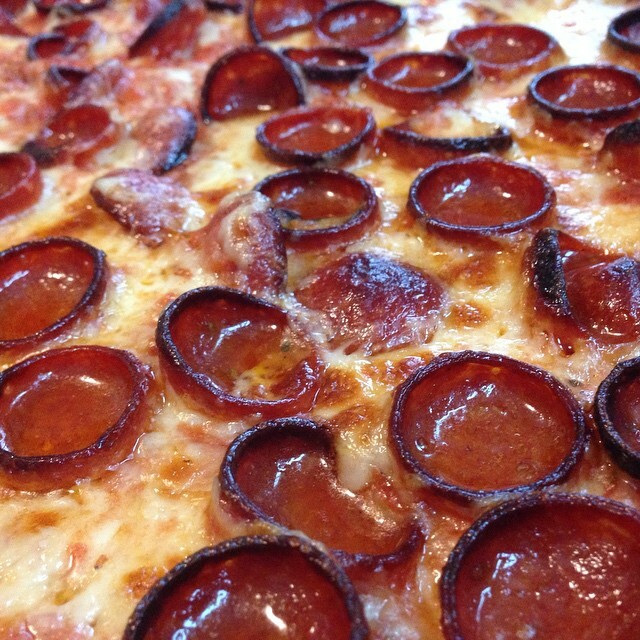 Then there’s the pepperoni, which might be defined generally as flavorless, flat pink circles on your pizza. The best Buffalo pepperoni curls up a bit, gets a little charred on the edge, and makes the perfect meat vessel for the greasy goodness that adds so much flavor to our favorite pizzas. 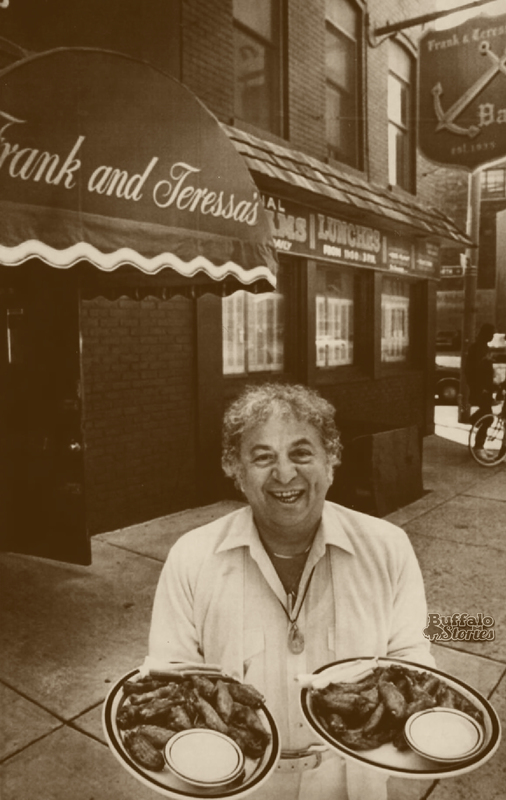 Pizza became a fad around the country in the 50s, but we’ve been eating it here, and watching the perfect pie evolve since 1927 when Fioravante Santora started serving it. 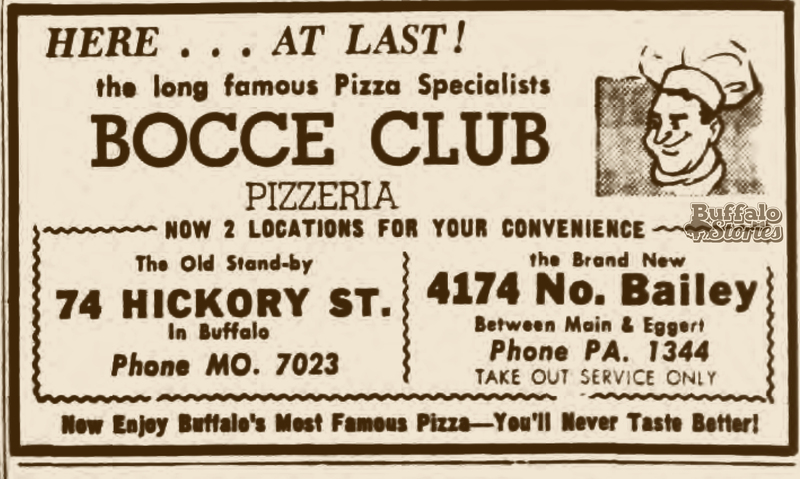 And then in 1946 when Dino started slinging pies at the Bocce Club on Hickory Street. 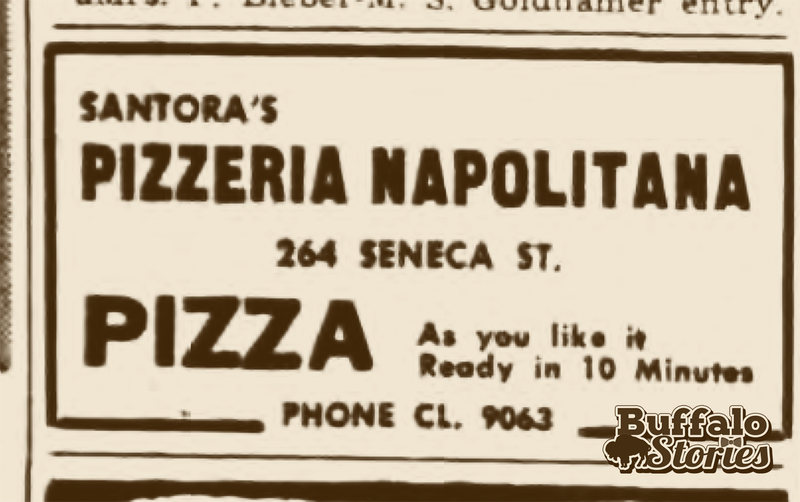 And the Todaro’s started selling La Nova pizza in 1957. Bocce Club announces new Bailey Avenue location. 1959 ad. Pizza is an institution in Western New York, made up of hundreds of neighborhood institutions that make it a quintessential taste of Buffalo. 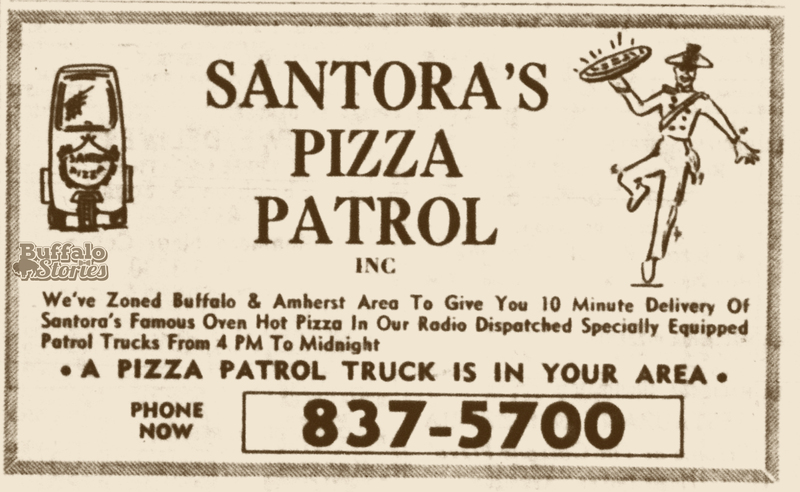 Santora’s was not only Buffalo;’s first pizzeria, but also among the first to deliver pizza. 1964 ad. 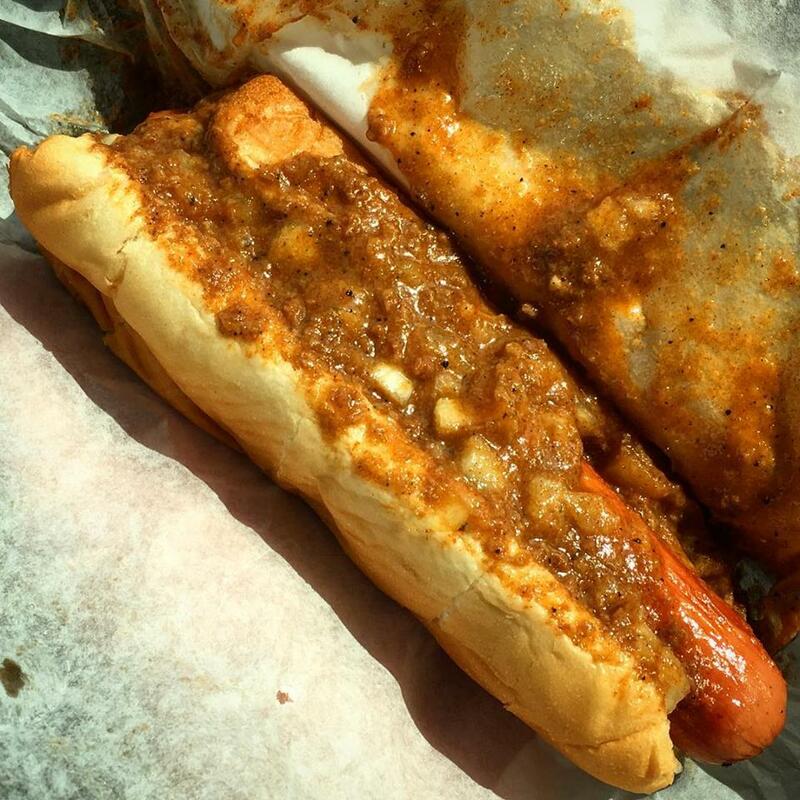 As we continue to look at Buffalo’s definitive foods, we look at the hot dog. Sahlen’s hot dogs on a home grill, with 4 different levels of char. Just like pizza, they have hot dogs everywhere, but we all know there’s something special and different about a Buffalo hot dog. Longtime Buffalo butcher Mark Redlinksi tells me the biggest difference between a Buffalo hot dog and one of the national brands is the casing. He says it’s difficult to find a natural casing if you’re not buying a Buffalo dog. Sahlen’s most popular varieties are tender casing dogs, but natural casings are also available. It’s also what’s inside– or not inside– a Buffalo dog. All meat, no fillers in a Sahlen’s or any other local brand. It’s also a unique beef to pork ratio we’ve become used to here. And of course, like everything else in Buffalo– our hot dogs are much bigger than what the national brands sell. As far as how we eat ’em, there are two equally definitive Buffalo styles. 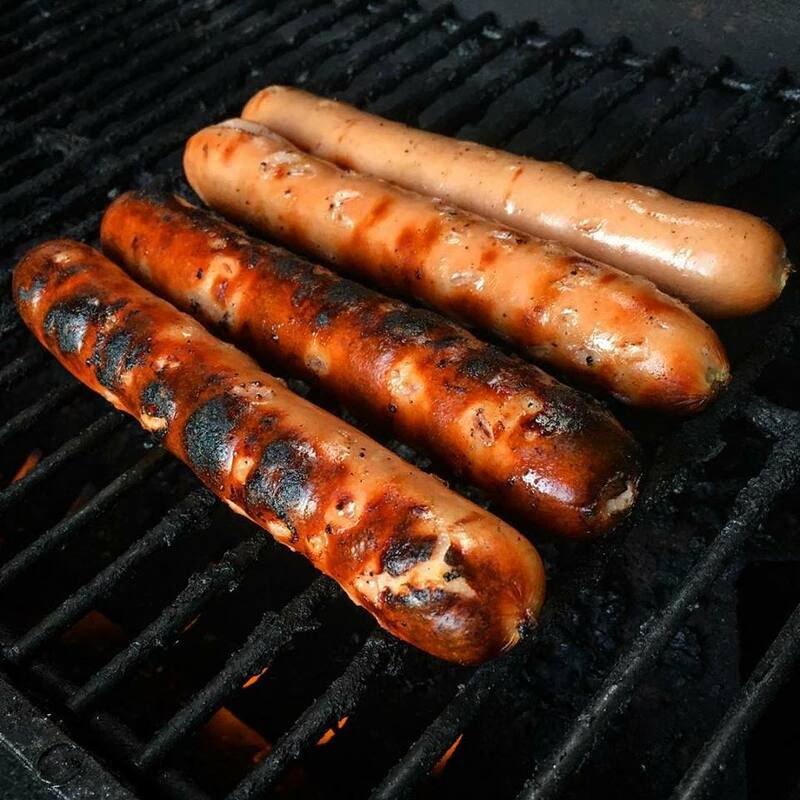 The charcoal broiled dog highlights that natural casing and gives a great bite… and maybe a great crunch if you like yours well done. 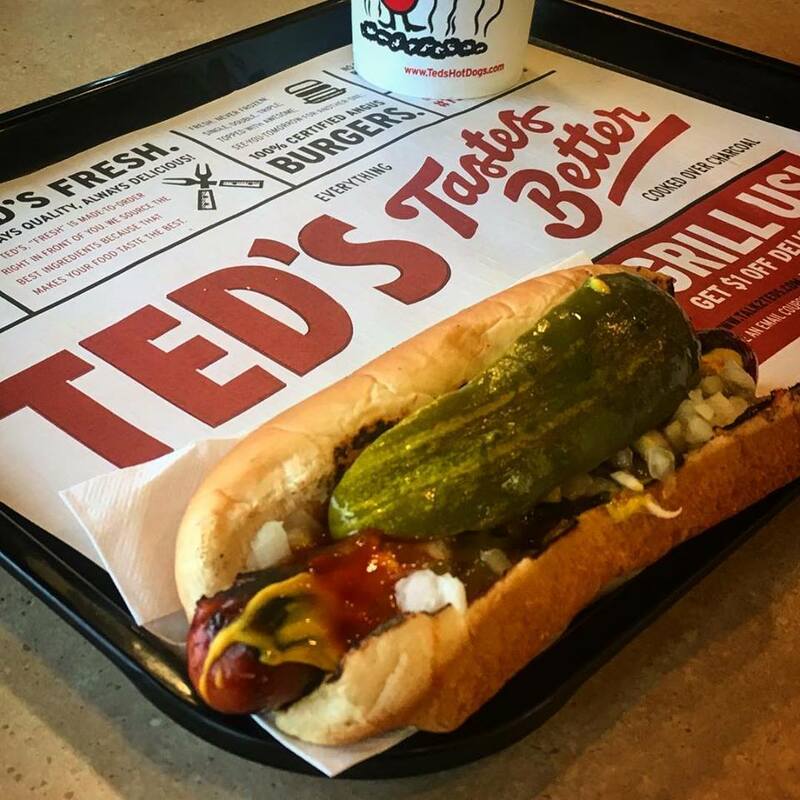 Ted’s charbroiled dog, on a toasted roll, with special spicy sauce, mustard, relish, onions, and a pickle spear is a WNY Classic. 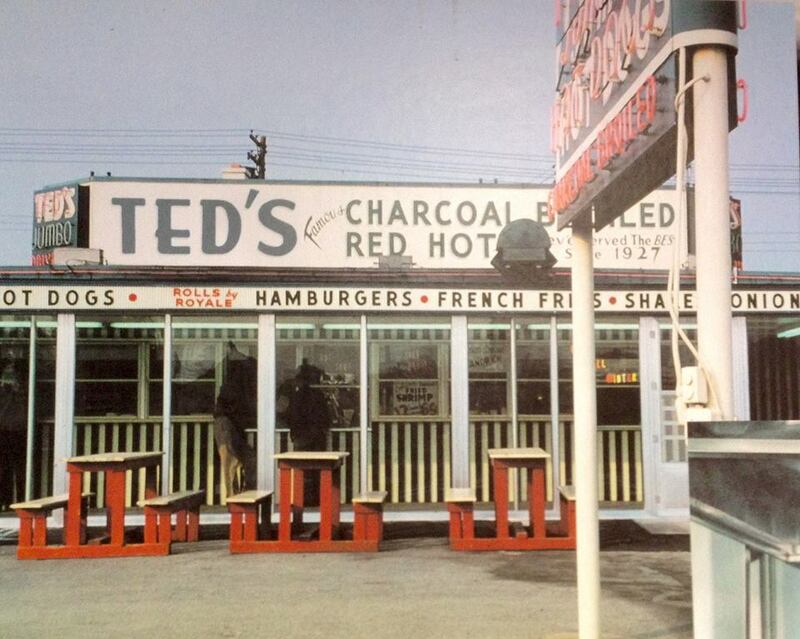 Ted’s has been serving Buffalo’s favorite hot dogs since 1947. A Louie’s Texas hot, “up,” wrapped in the to-go wax paper. The hot dogs are usually a slightly different formulation… usually without the natural casing, which would get rubbery when fried on the griddle. On that griddled dog, add mustard, slivered onions, and that spicy meat sauce. “Slime on the line” at Seneca Texas Hots on Seneca Street. Whether you like ’em off the grill or drowning in that Texas Hot gravy, the Buffalo hot dog is like no other. Of all these great Buffalo foods, only one is known around the world with the city’s name attached to it– of course, that’s the chicken wing. 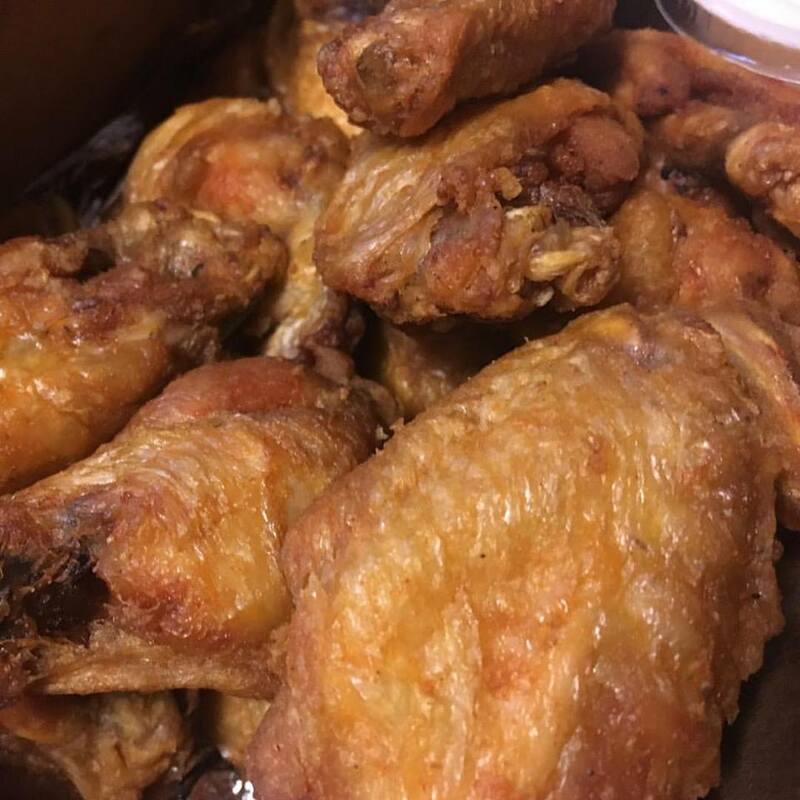 These days, there are dozens, probably hundreds of varieties of chicken wings available across WNY… but the original is still the benchmark… chicken wing parts fried doused in a combination of butter and Frank’s hot sauce. 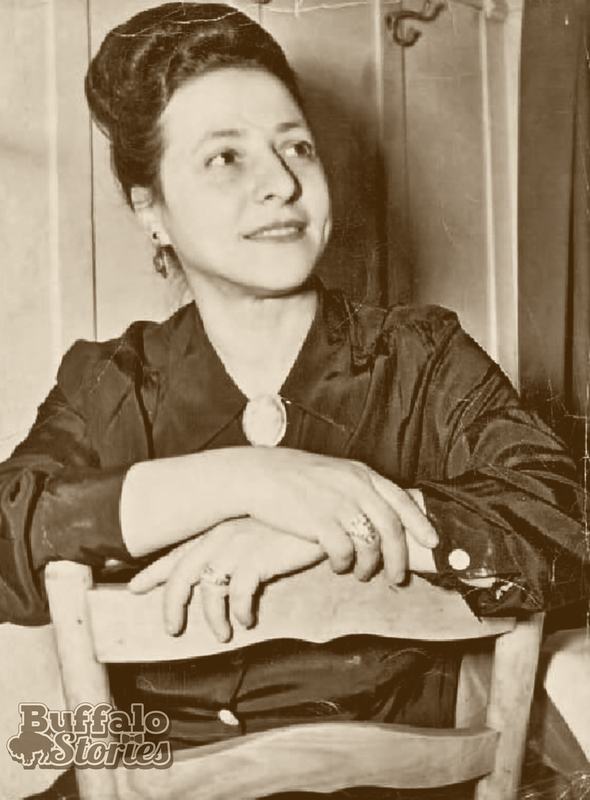 The well-told story of the chicken wing is that Anchor Bar owner Teressa Bellissimo whipped up the first wings as snack for her son and his friends after midnight on a Lenten Friday in 1964. While Teressa Bellissimo and the Anchor Bar certainly get the kudos for Buffalo’s first split wing, they might have to share the title of Buffalo’s first spicy wing with John Young, who served unsplit wings— with the flat and club still connected to each other and the wing tip— all covered in his spicy Mambo sauce at his “Wings & Things” restaurant on Jefferson Avenue starting in the mid-’60s. Still, it’s the Anchor Bar’s version which gained notoriety and became a Buffalo institution. Looking under “Pizza” in the yellow pages of Buffalo’s 1969 phone book, only one restaurant — the Anchor Bar — lists “chicken wings” as a menu option in its ad. Ten years later, in the 1979 phone book, 54 different pizza restaurants list wings as a menu option. Today, even the restaurant that calls itself “Just Pizza” has succumbed to wing sales. But back to that 1969 phone book– in the “Restaurant” section– the Anchor Bar’s ad makes mention of music and Italian specialties, there is no mention of chicken wings. 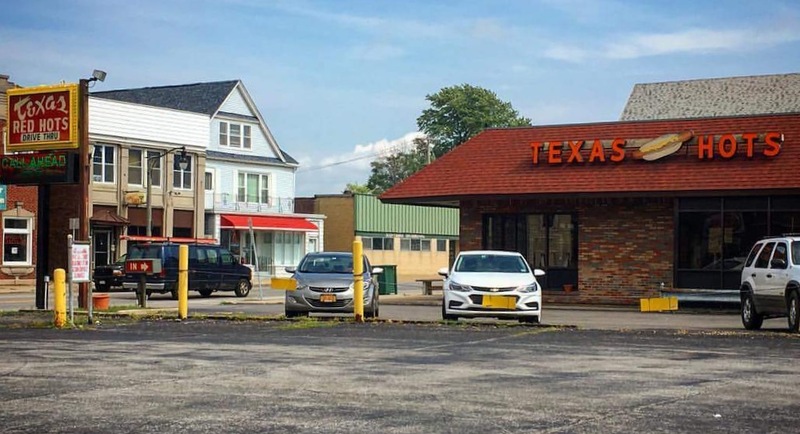 In the RESTAURANT section, the only mention of wings is a small listing for “Wings & Things,” John Young’s Jefferson Avenue restaurant, which was of many East Side spots were people were eating some version of chicken wings before the Anchor Bar made them into what the world knows as Buffalo Wings. 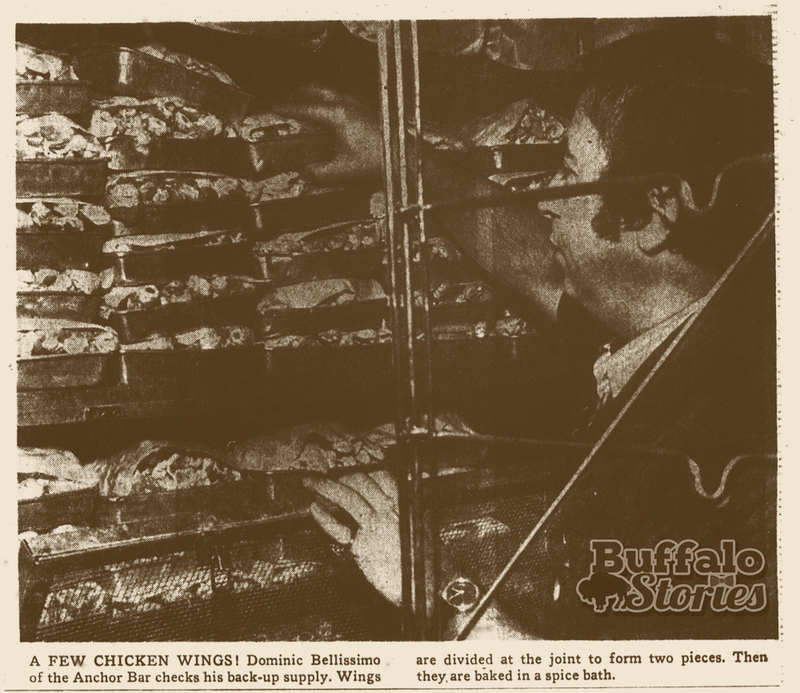 The chicken wing– perhaps THE definitive Buffalo food.